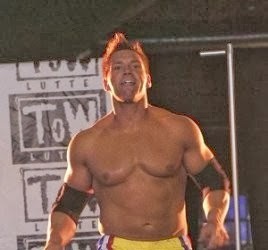 On March 5th, 2010 at the Pierre-Charbonneau Center, in Montreal, TOW – Top Of the World – will be presenting its 5th professional wrestling show. Marc Blondin, sport commentator and well known promoter, is no rookie when it comes to wrestling. « Fans should be the most entertained during the show and when they leave the event they should have a big smile on their faces and look forward to the next one». That is his main goal when organizing an event. « A wrestling show is not only for the wrestling fan, but for everyone who wants to be entertained and spend a nice evening ». Without a shadow of a doubt, fans will enjoy the best of sport entertainment on March 5th, 2010 at the Pierre-Charbonneau Center, in Montreal with TOW5. Many guest stars are scheduled for this event: Samoa Joe, TNA – Total Nonstop Action – superstar, he held the TNA World Championship belt and the X Division championship. 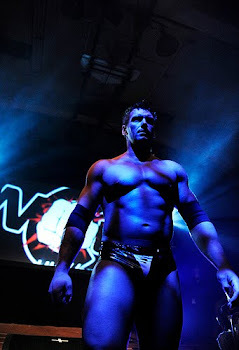 He will be in one of the main events facing local star Franky The Mobster. Also, Viscera, former World Wrestling Entertainment (WWE) superstar – 6’-9”, 485 lbs giant will be facing Steve Rush, best known as the wrestler of the tv show “le banquier”, he’s coming out of a five year retirement. The fans will be impressed by the sizes of these two stars, near 800 lbs combined! 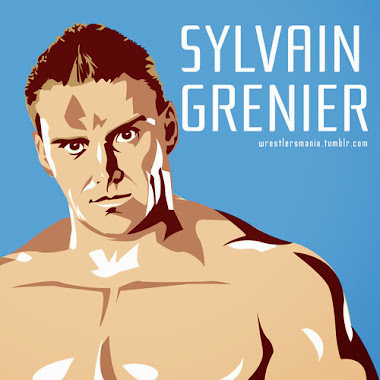 Let’s not forget our two French Canadians internationally known; Sylvain Grenier – four times WWE tag team champion – will be competing in a double casket 3 way match against Samson and Darkko. And PCO – Pierre-Carl Ouellet (who has already competed in TNA, WWE, WCW, and ECW just to name a few) will face Supermex Hernandez, a current TNA superstar. Many other bouts, more than 30 wrestlers and managers, and surprises are guaranteed for this event! Tickets from $10 to $40 available directly at the Pierre-Charbonneau Center located in the Olympic Parc at 3000, Viau in Montreal. Metro station Viau is near the amphitheatre that was built for fighting events during the Olympic Games in 1976. You can also order by phone: 514-872-6644.